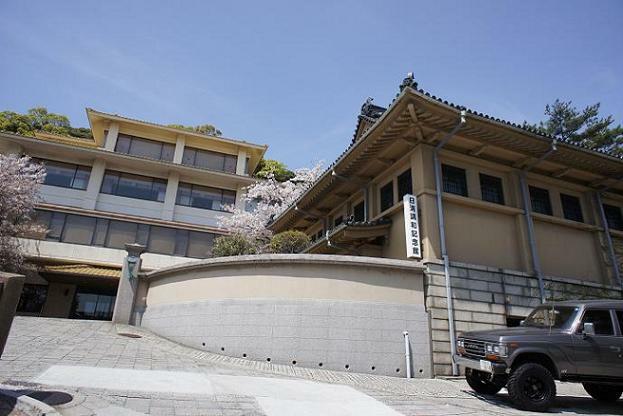 “Shunpan-ro” in Shimonoseki in Yamaguchi Prefecture is Japan’s first authorized “fugu” blowfish restaurant, and is also known as the place where the peace treaty with China after the Sino-Japanese War of 1894-5 was concluded. Shunpan-ro stands on a high point, commanding “Dan-no-ura” strait, the final naval battle site between the two biggest “samurai” families in the 12th century. 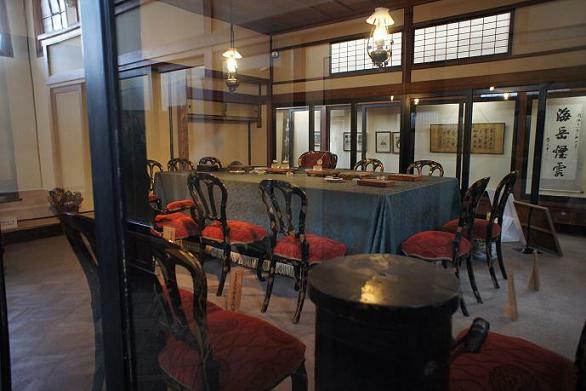 This historic restaurant is the first “fugu ryoutei” blowfish restaurant that was authorized in 1888 thanks to then prime minister “Ito Hirofumi”. Fugu blowfish dishes had long been prohibited to be served at any restaurant since the 16th century, because this fish contains a poisonous substance. All the fugu restaurants in Japan had spread across the country following this restaurant, and many fugu restaurants can be found everywhere in Japan, in particular in Osaka. In addition, the peace treaty of Sino-Japanese War of 1894-5 was concluded here, and so the treaty is also called “Shimonoseki treaty” after the place name. The second picture shows the reconstructed room, where that treaty was concluded, and it is opened to the public.